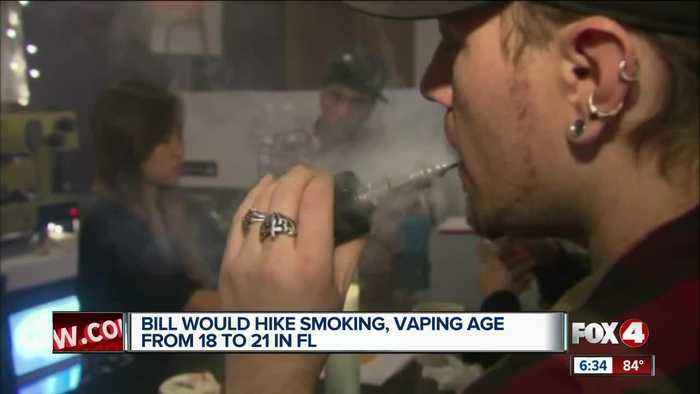 The minimum age for Floridians to possess tobacco and vaping products that deliver nicotine would rise from 18 to 21 under legislation approved by a state House committee. 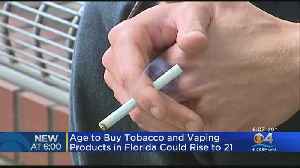 The minimum age for Floridians to possess tobacco and vaping products that deliver nicotine would rise from 18 to 21 under legislation a state House committee readied Tuesday for a floor vote. Gov. 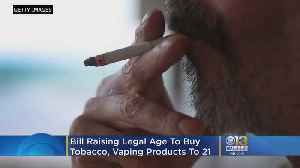 John Carney says he plans to sign the bill. 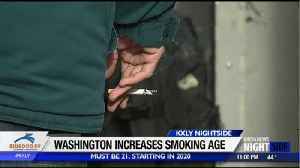 Starting next year, you have to be 21 to buy tobacco in Washington state. 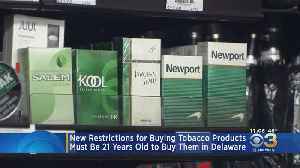 The Maryland General Assembly has approved a bill raising the legal age to buy tobacco and vaping products from 18 to 21. Matt Yurus reports. 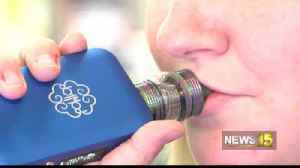 Hawaii is looking to curb nicotine use among its youth, as it working on legislation to ban e-cigarette flavors. 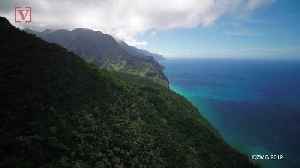 Veuer's Justin Kircher has the details. 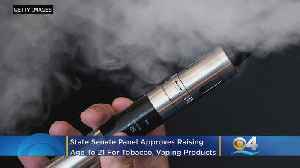 In an effort to crackdown on underage smoke and vaping, a state Senate panel has passed a bill that would raise the minimum age from 18 to 21 to purchase or possess tobacco and vaping products. Ken..